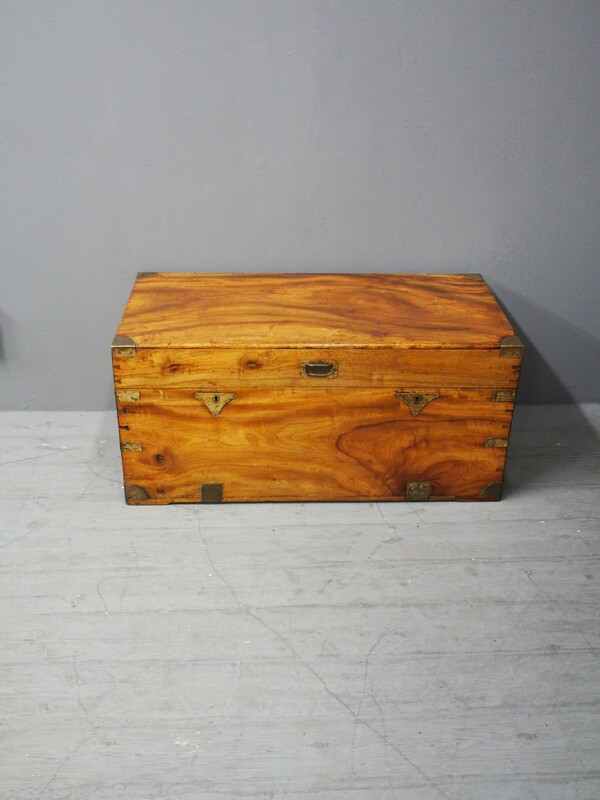 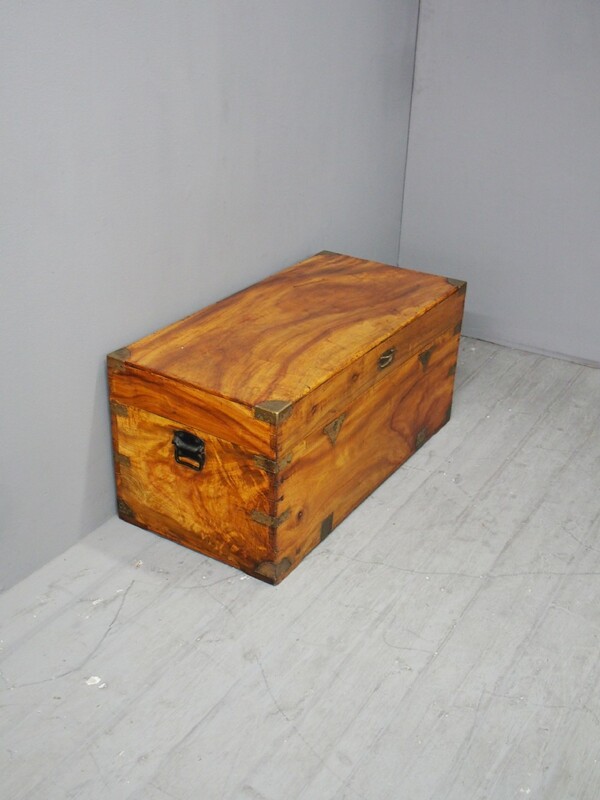 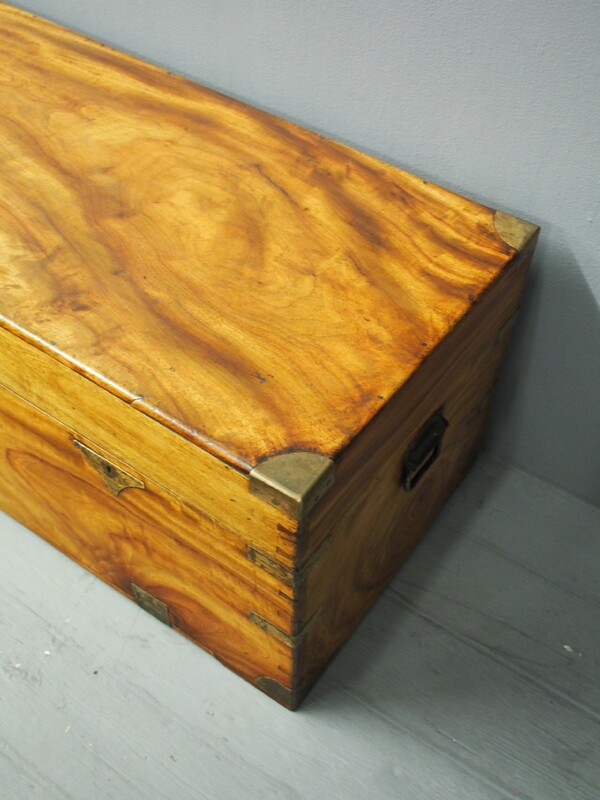 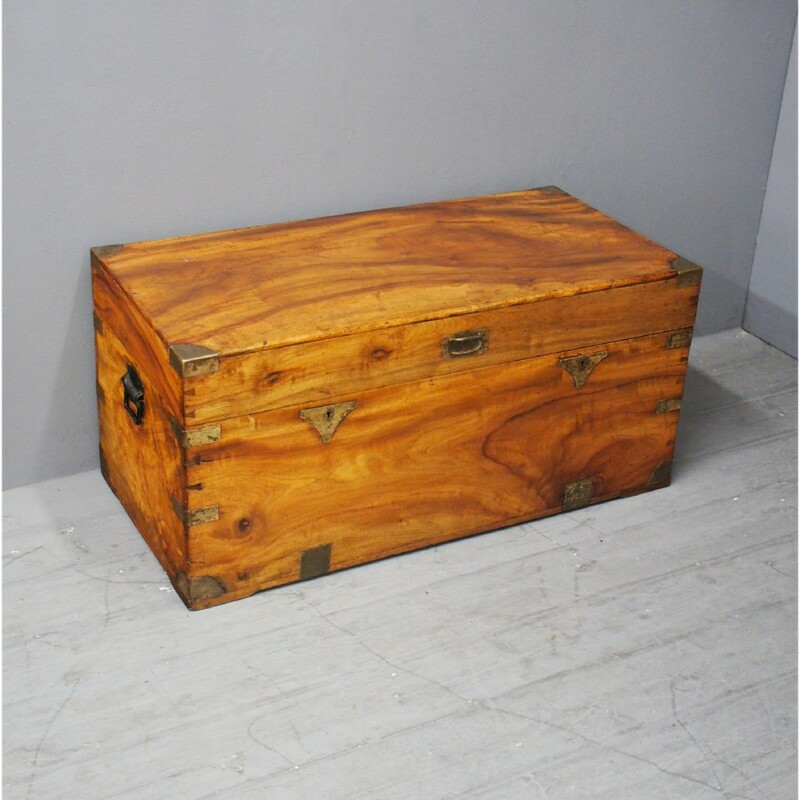 Circa 1880, Anglo-Chinese solid camphor wood campaign trunk. 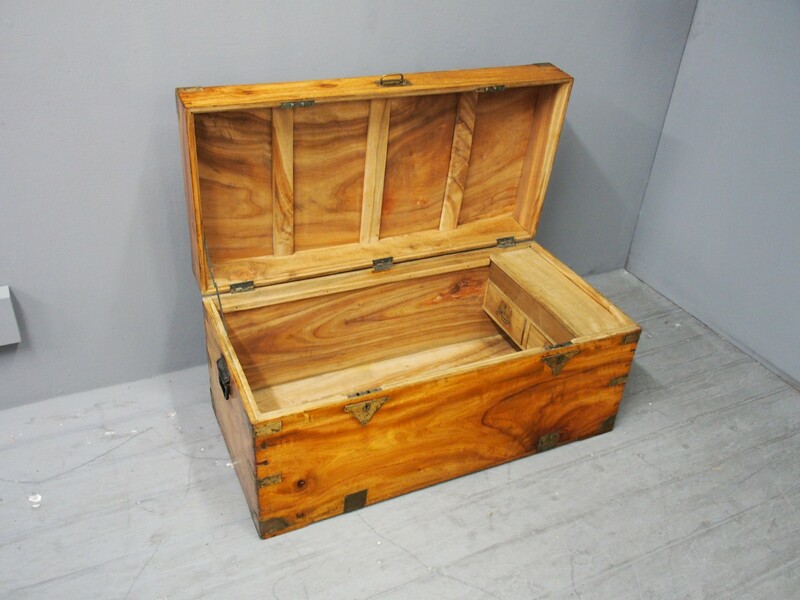 In honey-coloured figured camphor wood with brass corners, brass strapping and escutcheons and original steel carrying handles. 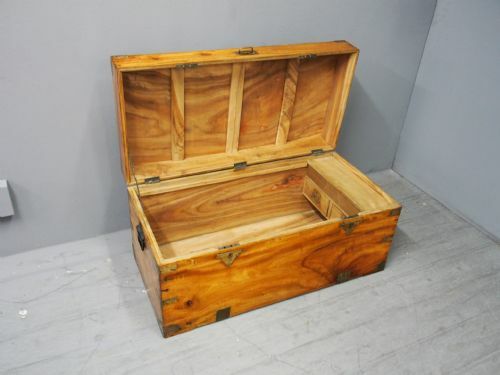 Opens to an interior with fitted drawer and candle box and could be used as a coffee table. 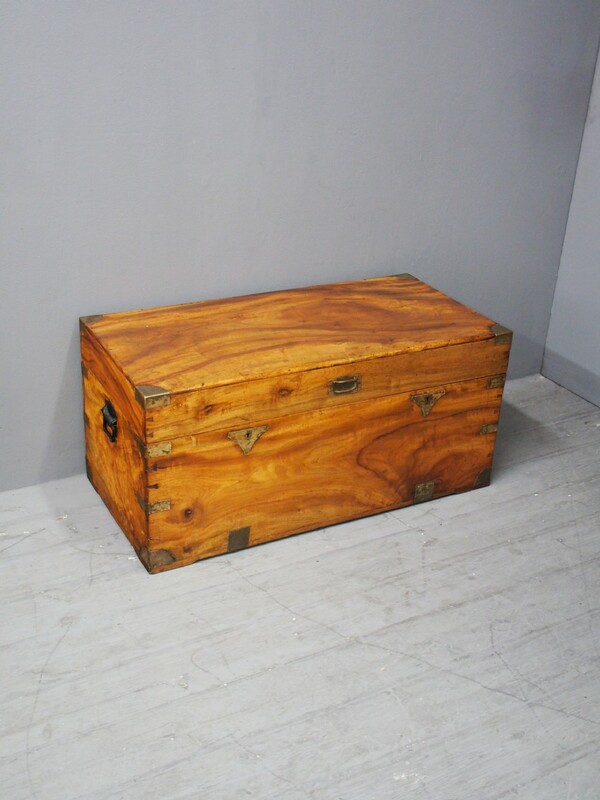 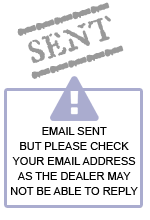 The Anglo-Chinese Camphorwood Campaign Trunk has been added to your saved items.